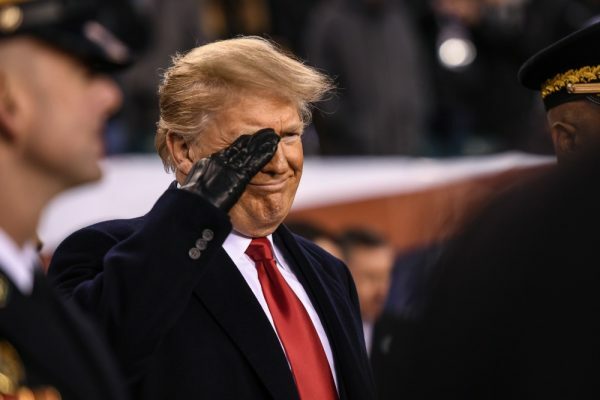 President Donald Trump attended the historic football rivalry between the United States Military Academy (USMA) and the United States Naval Academy (USNA) on Saturday, the teams’ 119th head-to-head. 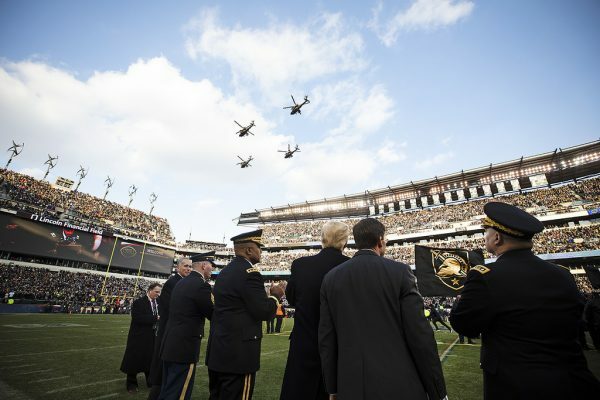 Trump is only the 10th sitting President to attend the Army-Navy NCAA college football game, according to ABC News. 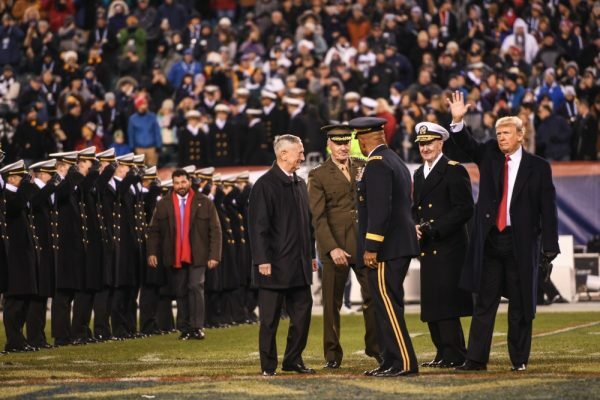 He also presided over the pre-game coin toss, and swapped seating at halftime, as tradition holds. 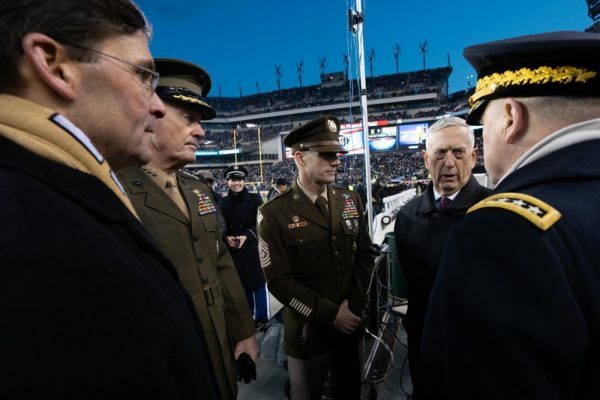 Defense Secretary Jim Mattis was also in attendance, joining Trump for the coin toss and the National Anthem. Prior to the coin toss, a moment of silence was held to honor the late former President George H.W. Bush. Army won the game and the “Commander in Chief” trophy for the third year in a row after a final score of 17-10. Their last winning streak took place from 1992 to 1996. 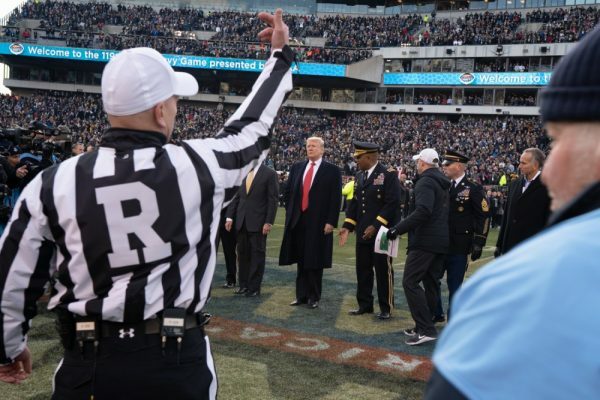 Trump attended the game as President-elect in 2016. 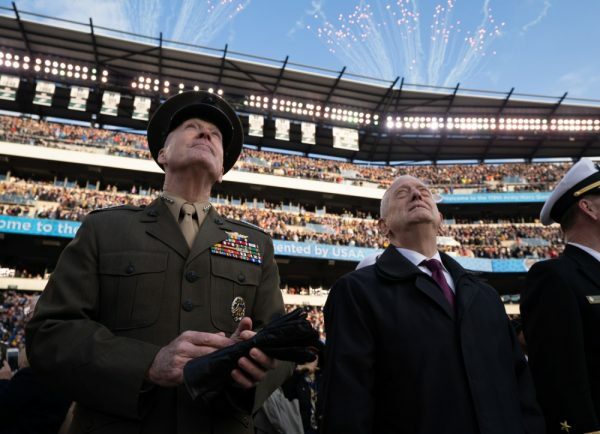 Several other members of the Trump Administration and Congress were also in attendance at Saturday’s game. 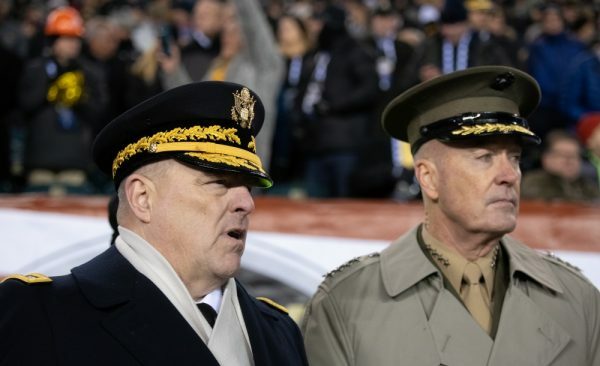 Chairman of the Joint Chiefs of Staff Gen. Joseph Dunford and his forthcoming replacement, Gen. Mark Milley, were also at the game. Secretary of the Army Dr. Mark T. Esper and Sgt. 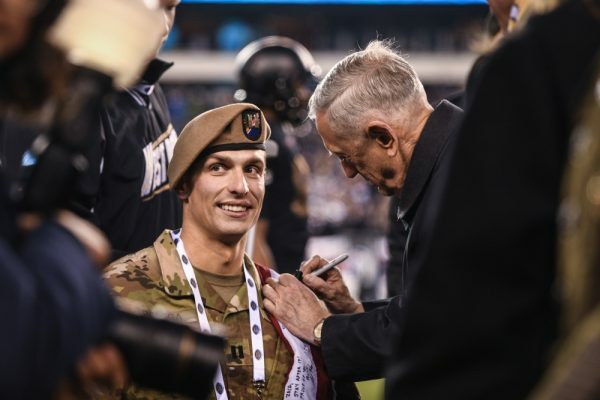 Maj. of the Army Dan Dailey were also spotted speaking with Mattis at the game. Secretary of State Mike Pompeo and Secretary of the Interior Ryan Zinke were said to be in attendance, as well, along with Republican Senators James Risch and James Lankford. Former Presidents Roosevelt, Wilson, Coolidge, Kennedy, Ford, Clinton, George W. Bush and Obama were the nine other sitting presidents to attend the game. No President attended the historic game for two lengthy periods, from 1924 to 1945 and 1963 to 1995. 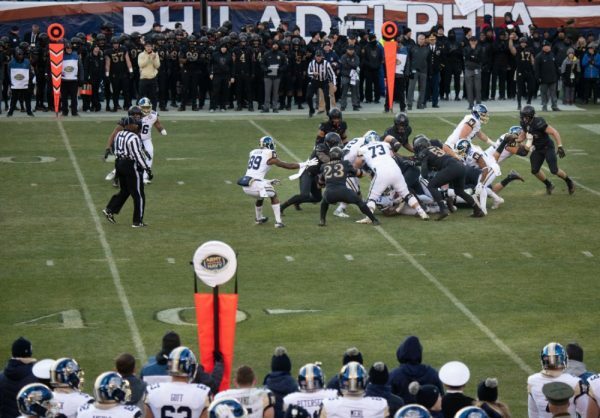 Saturday’s game was the 119th match-up between the Army Black Knights and the Navy Midshipmen. 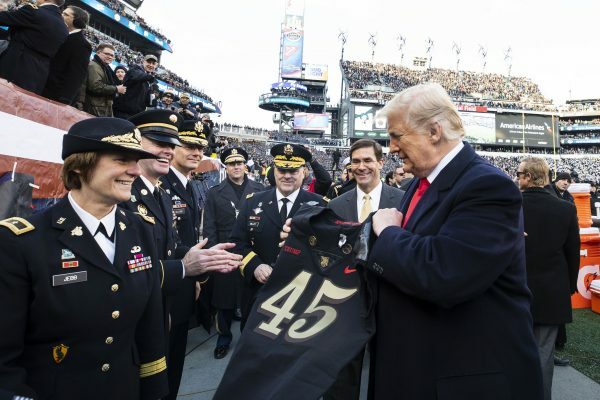 The Army gifted a “45” jersey to President Trump before the game. The Navy held a 3-9 season record and has the third-best rushing offense in the nation with a 288-yard average. The Navy leads the series overall with a record of 60-52-7 in the now 119 times the two teams have faced off.